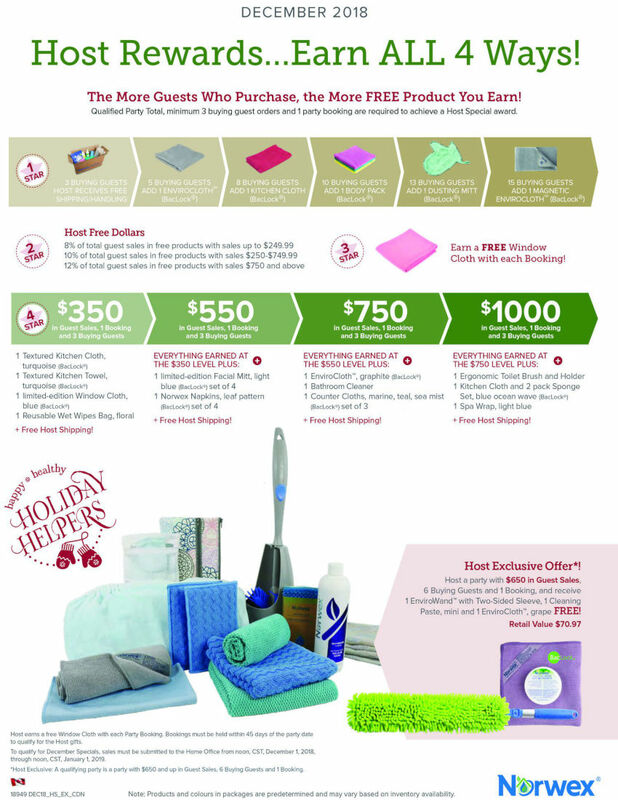 Norwex has an AMAZING sign-up incentives this month!!!! Seriously… have you ever wanted to give Norwex a try? Wanted to be part of a team of people making a difference, one home at a time, by selling safe, environmentally-friendly, effective cleaners and personal products. Ever held back because of the sales requirement? This month is the perfect opportunity to start your new home-based business with 1/2 the sales requirement… making earning the Standard Party Kit for FREE that much easier. 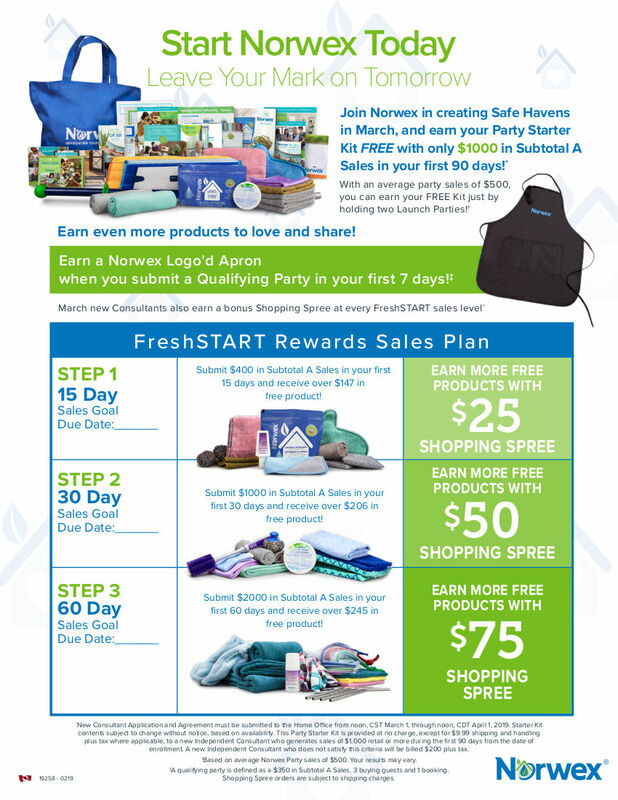 So now that the sales requirement “pressure” hurdle is gone… this month, when you sign up, you will also have the opportunity to earn up to $150 in shopping sprees as you complete the Norwex FreshSTART Program. And when you submit a qualifying party in the first 7 days of your business, you will earn a FREE Norwex Apron (a perfect accessory to wear at future parties). 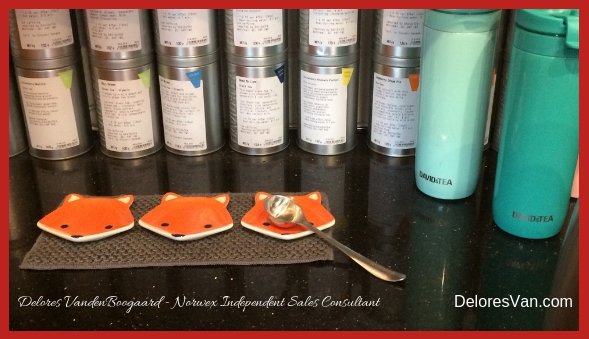 The first thing a new Norwex consultant needs is a variety of product to sample and demonstrate. 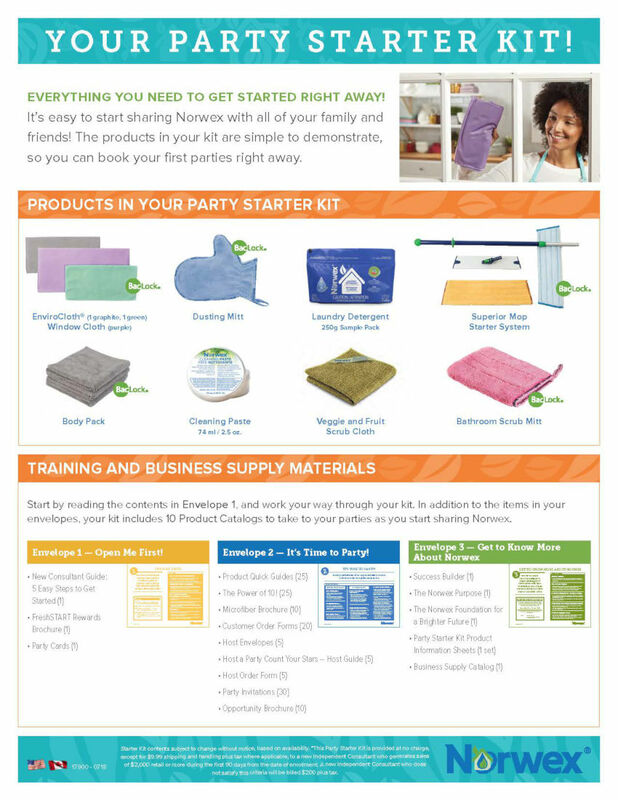 The Standard Party Starter Kit contains over $300 of top-10 selling products as well as some essential business supplies. Generally, the kit costs a new consultant $200 with the opportunity to earn it for FREE by selling $2000 in your first 90 days of business… but this month… you can earn it for FREE when you sell only $1000 in your first 90 days of business. How’s that for a fantastic BUSINESS OPPORTUNITY? An average party sells $500 in product… that means you need to host 2 Launch Parties. 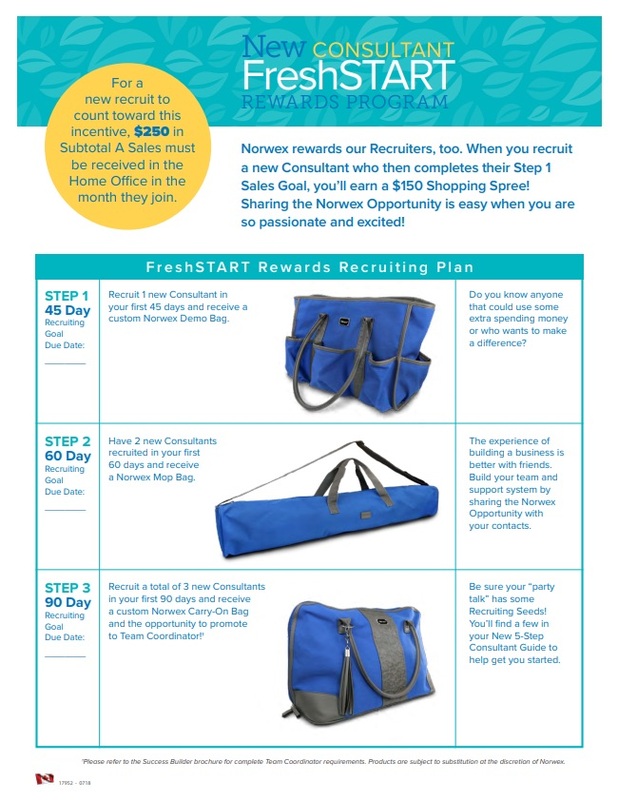 As the Host, you will receive the Norwex Host Rewards, earn 35% commission on every sale, work towards your $1000 goal and work towards your FreshSTART Step 1 & 2 (with BONUS $75 Shopping Spree). NEXT, ask 2 friends to host your next parties (for your next $1000). Norwex ships direct… So Invite everyone you know to your launch parties… both local and across the country! Make an ANNOUNCEMENT to everyone you know that you have launched your business! Consider using social media, face-to-face, phone call and text! When you sell $1000… you will have made $350 in commission, reached FreshSTART Step 1 & 2 and received Bonus $75 Shopping Spree! 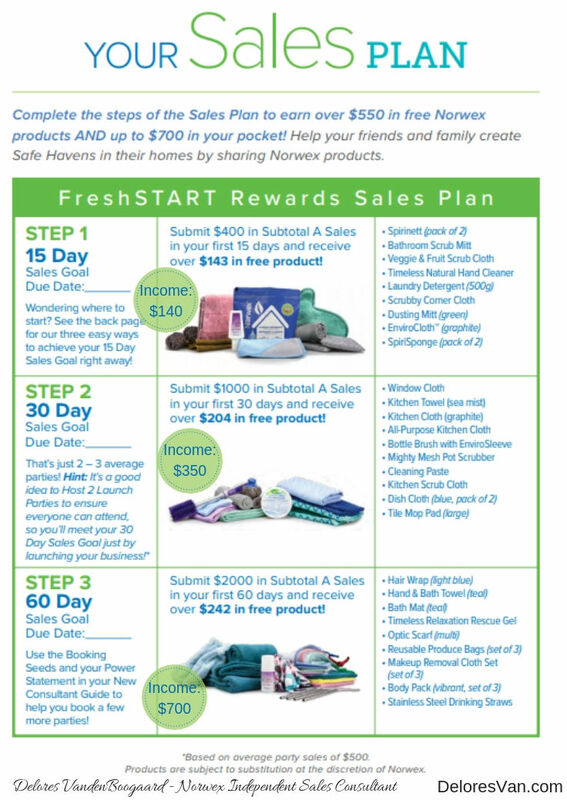 Norwex’s FreshSTART Program is AWESOME!! It is designed to get you setting sales and recruiting business goals and then rewards you when you reach them in your first 60 – 90 days of business. In this business, you will find that you are in business FOR yourself, but not BY yourself!! There is lots of support, training and mentoring etc. When you complete all 3 FreshSTART steps, you will earn $700 Income (35% commission), $598 Free Product and the Standard Party Starter Kit for FREE! PLUS, this month Norwex has added a $25, $50 & $75 Shopping Spree with the completion of STEP 1, 2 & 3! Did you know that as a Norwex Independent Sales Consultant, if you use Norwex products to clean your home and the line of personal products yourself, you will sell more products, than if you don’t? This has been my experience, that personal testimonies and experience are powerful because they are honest, sincere and believable. By using the product, you know what works and how to use it… you can even share your preferences. The Kit Builders allow you to buy enough to use personally and for your kit and they are available only for new consultants at a fantastic price. There are 3 different kits… but the Gold Package is my FAVOURITE. Why? 1. It’s stocked with lots of my favourite products (plus business supplies). 2. You can purchase it at 45% off retail price. 3. It earns you your STEP 1 FreshSTART Sales Goal ($400 sales in the first 15 days of business)… which qualifies you for another $147 in Free Product. The second part of the FreshSTART program is all about GROWING your business. Maybe this sounds a little early… yikes… you haven’t even signed up yet. But, trust me, this is an excellent time to invite someone to join your team. Who do you know who loves Norwex? Who do you love to spend time with? dream with? learn with? This is the perfect person to invite! I started my Norwex business over 12 years ago and one of my favourite things is working with like-minded people… I love to grow and learn alongside fellow consultants on my team. It’s the best way to do it. As I said before, you are in business FOR yourself, but not BY yourself!!! There are so many reasons to give Norwex a try… this month, maybe more than usual!!! I can honestly say that it is a privilege to work as a Norwex Independent Sales Consultant… having the opportunity to work with like-minded amazing people to help change the world for the better. With such generous incentives this month, why wouldn’t you want to join? Comment below… What are some of your reasons for signing up with Norwex? What is holding you back from making your mark on the future? Do you love Norwex product? Do you want to make a difference the world? Do you want a job that is flexible and has the opportunity to make a generous salary? Do you want to work with a diverse group of Independent Sales Consultants? Would you like to have the opportunity to earn great rewards… Like Free Trips and Free Product? If you can answer “YES” to any of those questions, a Norwex Direct Sales Business is a great fit for you! 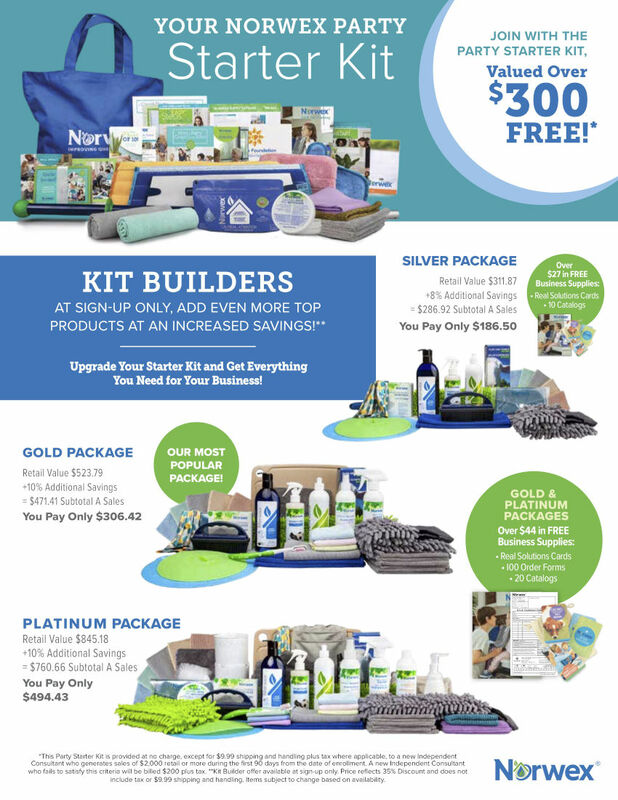 Norwex always has great incentives for sign up and this month is the same. 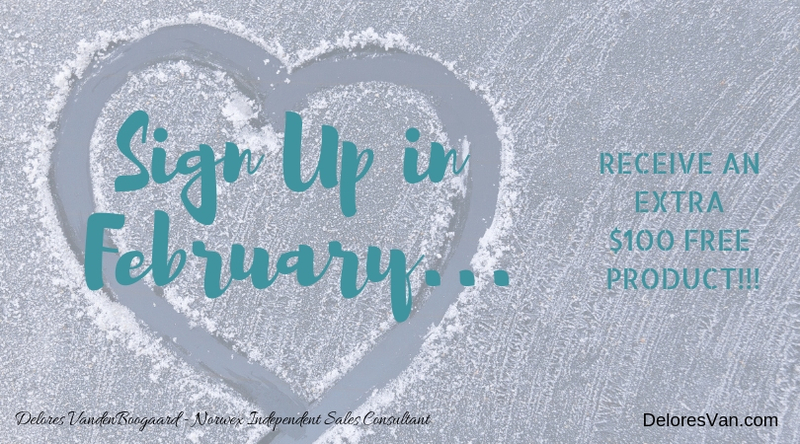 For the month of February, when you sign up with Norwex, will receive an EXTRA $100 of FREE Product in your Standard Party Starter Kit. They are doubling up 5 of the amazing products normally in the kit so that you have more product to demonstrate at you parties!!! This is just what a new consultant needs… for more info about all the new consultant incentives, including, Norwex’s Party Starter Kit, Kit Builders and the FreshSTART Program… keep reading! First, watch this short FAQ video to answer some of the questions you may have. The first thing a new consultant needs is a variety of Norwex Products to demonstrate at parties. Norwex products sell themselves when people are able to see how well they work and how they feel. The most classic demonstration is to smear butter on a window and then use a well-wrung EnviroCloth to remove the butter and leave a streak-free shine. The Party Starter Kit includes all the top-selling, favourites!!! 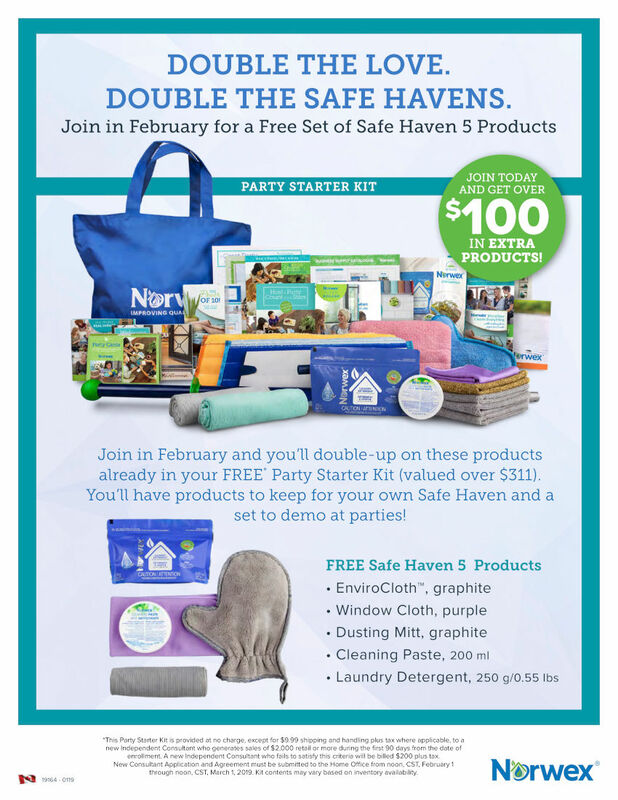 This month… Norwex is giving new consultants an extra $100 FREE Product in the kit.. you will double up on the “Safe Haven 5 Products” (EnviroCloth, Window Cloth, Dusting Mitt, Cleaning Paste, Laundry Detergent… WOO HOO). This bonus gives you the opportunity to have a set to demo and a set at home!!! The kit is worth over $300 in product and supplies and costs $200. BUT… Norwex gives you an opportunity to earn it for FREE by selling $2000 in your first 90 days of business. An average party sells $500 in product… soooo you will need to host 2 Launch Parties (you will receive this month’s Host Rewards, earn 35% commission on every sale, work towards your $2000 goal, work towards your FreshSTART Rewards). Next, ask 2 friends to host your next parties. 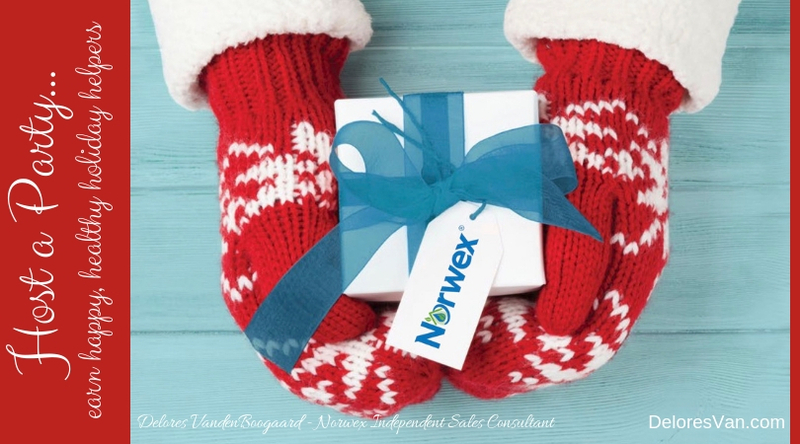 This is the time to TELL everyone you know that you are launching your new Norwex business and invite them to your parties… both local and across the country (Norwex ships direct). Remember that people receive information in all sorts of ways… so feel free to use social media, face-to-face, phone call and text to let your people you have launched your business! When you sell $2000… you will have made $700 in commission, earned the Party Starter Kit for FREE (plus the $100 Bonus Product) and completed Step 3 of the FreshSTART program (more info below)… plus more. The FreshSTART Program is designed to get consultants thinking and practicing sales and recruiting goal setting! This program is only for new consultants in the first 90 days of business… and is a great way to start your business. This month, when you complete all 3 steps, you will earn $700 Income (35% commission), $592 in Free Product and the Standard Party Starter Kit (with the $100 BONUS) for FREE! Do you use Norwex products to clean your home? Is Norwex your favourite personal care product line? Did you know that consultants who actually use the product sell more! Why? Personal testimonies are most powerful sales tool because they are sincere and based on your experience. I have used Norwex in my home since before 2006 and always sell my favourite products and let people know my preference. The Kit Builders are available to new consultants so that you can build up your collection of Norwex products to demonstrate and use in your own home at a discounted price. There are 3 kits, but the Gold Package is my FAVOURITE! 1. It includes lots of my favourite products, plus a bunch of essential business supplies. 2. The Kit is available for purchase at 45% off retail price. 3. When you purchase it, you fulfill the STEP 1 FreshSTART Sales Goal ($400 sales in first 15 days of business)… which qualifies you for another $135 in Free Product. See what I mean… It’s the best. The other part of the FreshSTART Program is about preparing for the future and growth of your business. You might be thinking, “I’m just signing up… I can’t grow a business that hasn’t started!” But you can, it’s the best way to do it. Wouldn’t you love to choose who you work with and have someone to learn with, bounce ideas off, attend training with and celebrate milestones with? Think about the people in your life and ask… (Who loves Norwex products… would like to make a good income? … and would I like to work with?) and if they fit that criteria, ask them to join you and sign up. The FreshSTART program will reward you for the first 3 people you recruit in your first 90 days. What a great way to start!!! 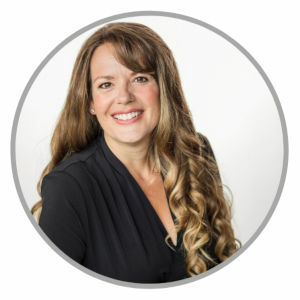 I have been an Independent Sales Consultant since 2006 and am honoured to lead “The Solution Team.” My team is made up of many amazing individuals from across North America. As one of the top-performing Norwex teams, we offer diverse experience, lots of training and support to all the teams members. Being an Independent Sales Consultant is about being in business for yourself, not by yourself. I am excited that you are considering this AMAZING opportunity and joining my team!!! In February, new consultants receive a generous $100 Extra Free Product in their Party Starter Kit! I know that be part of Norwex has been AMAZING for me and my family for the past 12 years. As you journey with Norwex, I know you will be inspired by their dedication to their core values: integrity, trust and respect. This month’s incentive is just a taste of what awesome things you can expect when you sign up. Sign up today and have a great start to the New Year. 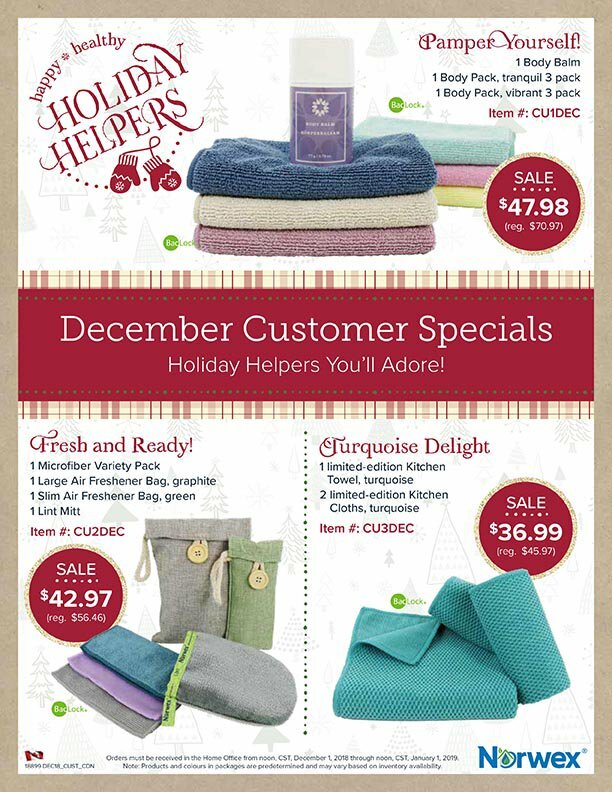 This month’s Customer Specials are full of great Norwex gift ideas. 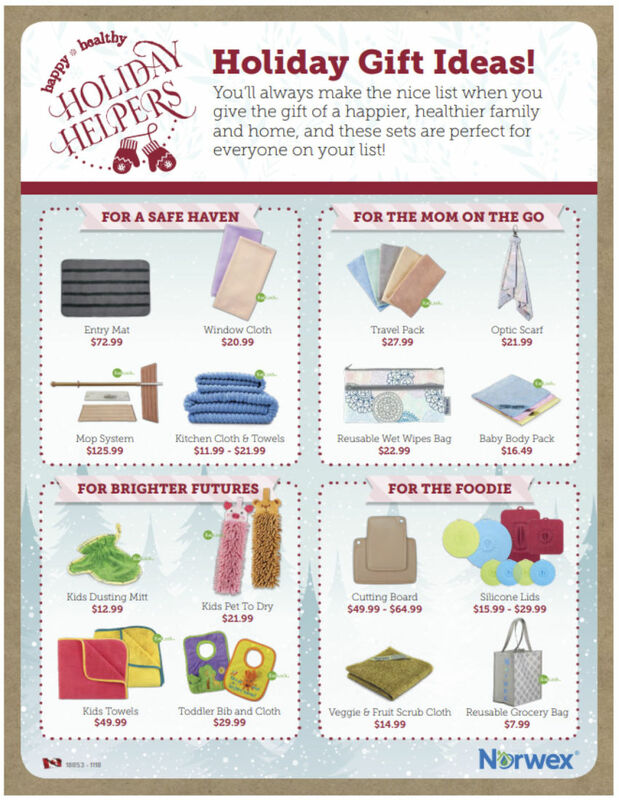 We all need a little help finding the perfect gift for people on our list… and these Holiday Helpers will definitely be a perfect choice for your ‘environmentally-friendly auntie’ or your ‘first-time-mom sister’ or your ‘too-busy-to-clean friend’. They will love Norwex’s line of products!!! It is great way to introduce your family and friends to a sustainable way of living, or add to their die-hard Norwex collection. 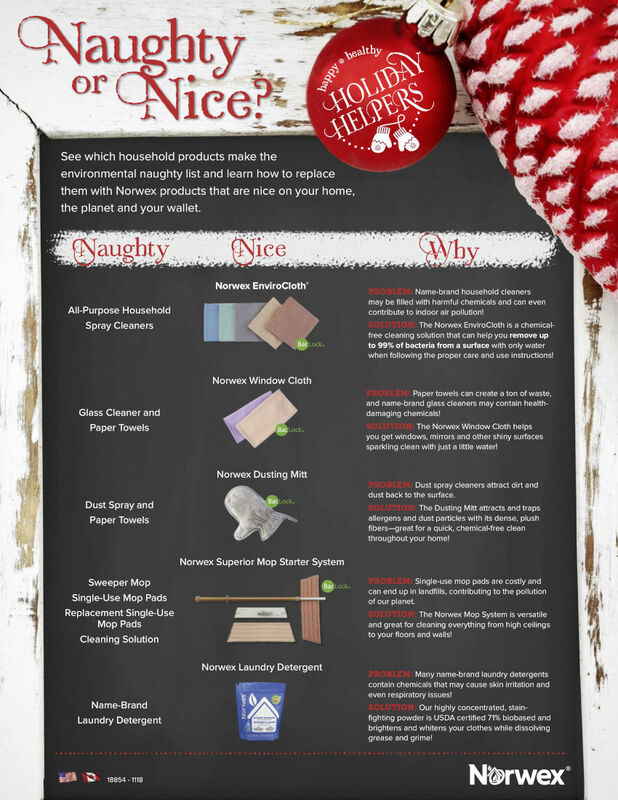 Check out this cheeky Norwex flyer… it’s a fun reminder about how to reduce the number of chemicals in our homes… then keep reading to see what is on sale this month! 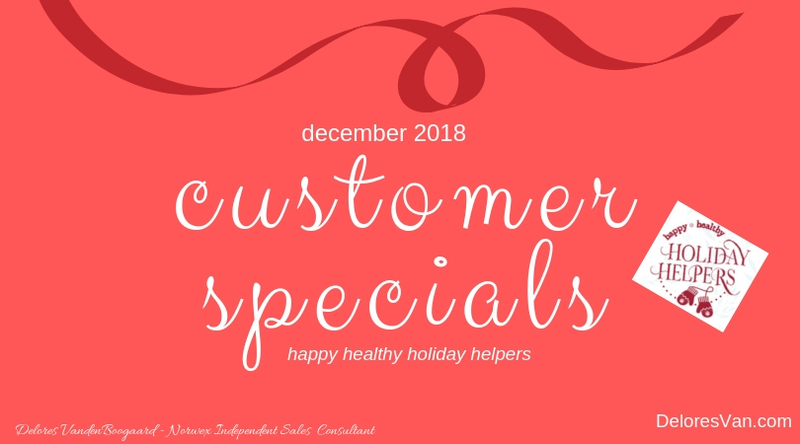 Here is what’s on SALE… some Norwex Gift Ideas! You will LOVE these 2 products! First, the Body Pack Cloths are the BEST face cloths out there! They are made with super-soft microfiber containing exclusive Baclock™agent to self-purify the cloth, it beautifully cleanses the skin and even removes makeup with just water. They are perfect for ALL types of skin. The Body Balm is just as amazing! I use this Body Balm every time I get out the shower… up and down my legs and with special attention on my heels, knees and elbows. It is made with USDA certified organic ingredients and has a beautiful citrusy, minty aroma. It has organic Beeswax, to protect skin from the elements, Shea Butter, to absorb rapidly into the skin and Castor Oil, to help restore moisture balance. Seriously… pamper yourself, or someone you love with this one. This customer specials is a bundle of little treasures. The Microfiber Variety Pack includes a compact-sized EnviroCloth, WindowCloth and Body Pack Cloth. They are all constructed like the regular-sized cloths including the Baclock™agent. 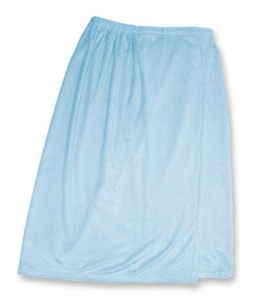 They are perfect for on-the-go, or for a trial size for a friend who has never tried Norwex. Whatever situation you find yourself in… spill in the car, smudgy cellphone screen, sticky toddler face… these little cloths will save the day!!! Instead of using chemical-laden air fresheners deal with smelly areas in your home, try Norwex Air Freshener Bags. They are made of sustainably-harvested Bamboo that is turned into charcoal that quickly and effectively absorbs unpleasant odours. The slim size is perfect for spaces, like: freezers, wine coolers, linen drawers, gym bags, shoes, lockers and hampers. The large size can cover 90 square feet, making it ideal for closets, bathrooms, cars, boats, pet areas, and laundry rooms. These beauties last up to 2 years… every few months place the inner bag in the sun to rejuvenate its effectiveness. AWESOME! Love your pet… but not their hair? The Lint Mitt is the perfect, eco-friendly, reusable, totable solution! Instead of using expensive, disposable lint tape, try Norwex’s Lint Mitt instead. It is perfect for clothing, furniture and upholstery… to use, make straight strokes and going against the grain of the mitt. Handy and environmentally-friendly! 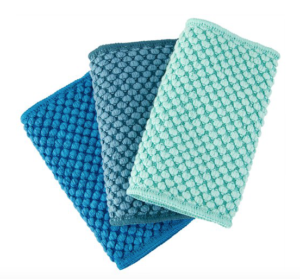 This limited-time, dual-sided turquoise Kitchen Towel and Cloth set is designed with a traditional microfiber side and a waffle-weave side. This means that they not only have the absorbency and Baclock™ agent advantage of an EnviroCloth, but they also have a scrubby, durable advantage with the waffle-weave side. Try them out… see if they become your favourite Christmas Kitchen Cloth. Just incase you need a little more inspiration… look no further, Norwex has some more great gifts ideas. There really is something for everyone… when it comes to Norwex. We are all cleaning our homes with something and using products to care for our skin. Norwex has a wonderful line of products that lead the industry in quality and environmental standards. You can’t find gifts like this just anywhere! What are your Christmas gift traditions? Want a fun, interactive, informative, maybe even ‘life-changing’ reason to get together with friends and family this holiday season? Want an easy way to get some of your Christmas shopping done? Host a Norwex party in December! 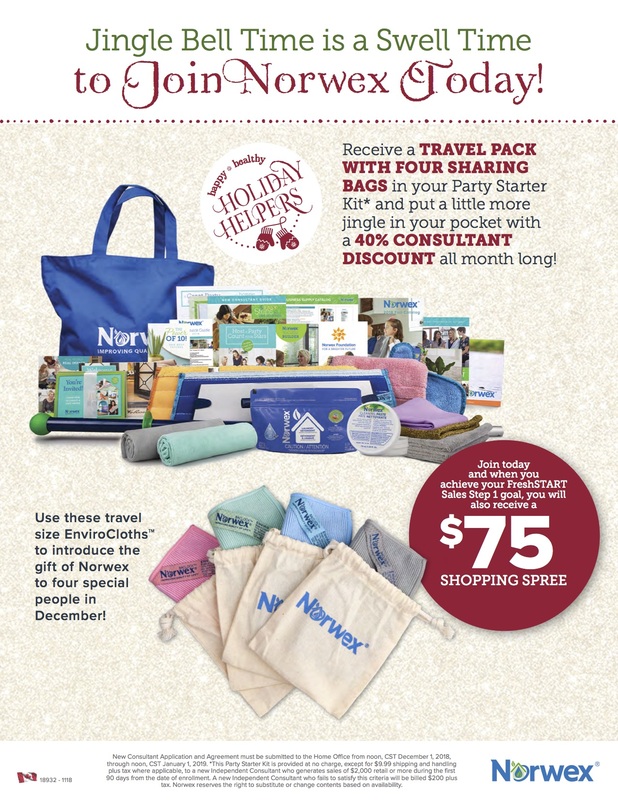 I love doing parties at Christmas time… people are always in a festive mood and a Norwex party offers people great environmentally-friendly gift ideas (See the Holiday Gift Ideas below) and a great start to their Christmas season. 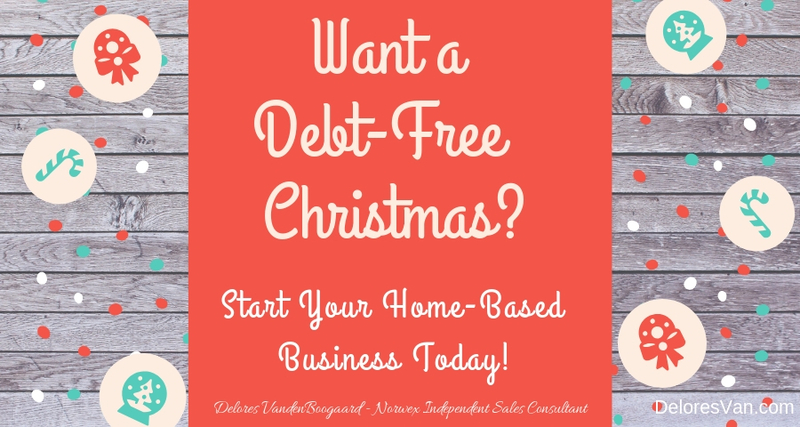 As a host, you will have the opportunity to earn some of your Christmas shopping for FREE. 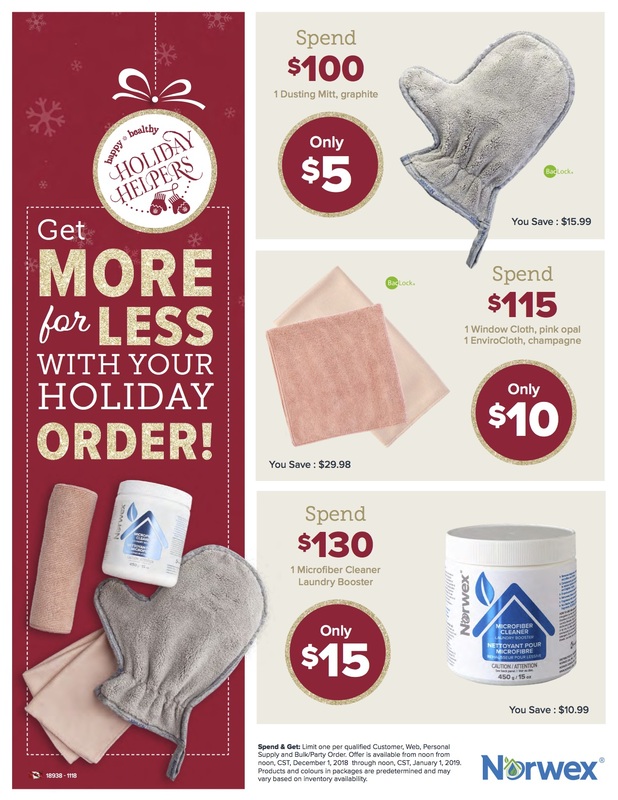 Each month Norwex offers hosts different rewards. They are always AMAZING and always GENEROUS! It’s a 5-STAR Host Rewards this month with 5 different opportunities to earn rewards based on: total guest sales, # of buying guests and # of new bookings. Check out what is available this month. The More Guests Who Buy, the more FREE Product you Receive… it is that simple. On average, when a host invites 40 people to their party, 10 will come. So invite everyone you know… near and far (Norwex ships direct). It is fun to mix it up and invite friends, family and co-workers. People can all relate to cleaning and personal care tips that will save them money, time and are eco-friendly. Earn a FREE Window Cloth with each new booking. Simple and AWESOME reward! A new booking means, you receive a Free Window Cloth (and lots of other rewards) and one of your family or friends will also have the opportunity for host rewards! What a great Christmas gift! This reward gives you a taste of the best Norwex has to offer. As you party reaches the $350, $550, $750 & $1000 sales categories, you will receive various AMAZING Norwex Product for FREE. Let me highlight one product from each category. Just think, one of these items might make a perfect gift for someone on your list! This is a perfect gift for a Mom on-the-go. Did you know? Wet wipes are one of the most common consumer items in our landfills, making up 30% of non- biodegradable waste. Instead of wet wipes, just tuck a couple Baby Body Cloths in the bag (wet or dry) and you will be ready for anything (dirty faces and hands, a small spill, and even a dirty bum). 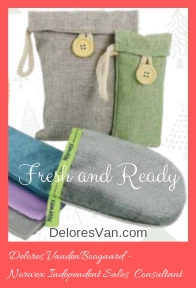 This washable Reusable Wet Wipes Bag has 2 pockets and the large pocket is lined with water-resistant PEVA to safely store your wet/soiled cloths. These are a fairly new Norwex item and they were designed to help reduce the need for paper napkins. Did you know? If a family of 4 uses 2 napkins/person/day, they would use almost 3,000 napkins/year! The Norwex Napkins provide a great solution because they are made from 50% recycled material, are reusable and they have the exclusive Baclock™ self-purifying agent in the napkin so you can use it more than once before washing. These cloths were designed to reduce the need for paper towel. They are same size as a half-sheet paper towel, they have Baclock™ agent to go to work self-purifying the cloth and they are super absorbent. They are all the things you love about paper towel… except they are a sustainable, eco-friendly product. They are great for cleaning up spills, but I also use them in other areas in my kitchen. I have a tea station where I keep one of these to lay my spoon and catch the drips from my tea leaves. They are so handy. I love that Norwex thinks of everything when they design a product. This Spa Wrap is not velvety soft, but it is super absorbent and light weight. All these things, plus it has a velcro closure to hold it in place as you get out of the shower and get ready for your day. It’s a beautiful wrap. People host Norwex parties for lots of reasons. During the Christmas season, hosting a Norwex party is a great reason to get together with the people you love and even get some Christmas shopping done. As the host you have the opportunity to earn some of those gifts for FREE. Checkout the flyer below for some amazing ideas!